Pacific Engineering Groups & Services pulled off an upset in the season finale after beating MJD Corp., 65-55, in the 2018 Emon Lodge No. 179 Brotherhood/IT&E Basketball League yesterday at the Koblerville Gymnasium. The No. 4 seed PEGS overcame the odds to defeat No. 2 MJD in the winner-take-all match. PEGS’ road to the Promised Land was not easy, as it had to go through No. 1 Pacific Islands Club first. 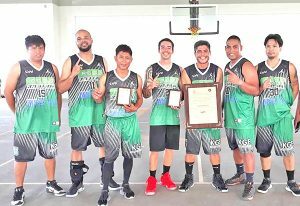 PEGS went on to stun PIC in the semis game last Saturday, 65-59, and completed the uphill climb in the playoffs and claimed the championship trophy with an upset over MJD, which marched into the finals after eliminating Islander Rent A Car, 90-74. MJD and PEGS were evenly match in the title showdown, as they exchanged leads from the opening tip to the closing minutes of the game before the latter’s grit and resilience on the defensive end fueled them to success. PEGS did really get the job done on defense in the last two minutes and change of the finale, as the eventual champion shut down MJD. Then on offense, Andrew Ashburn had a 5-point string, as he knocked in a triple and made a fastbreak layup to put PEGS on top, 57-55. 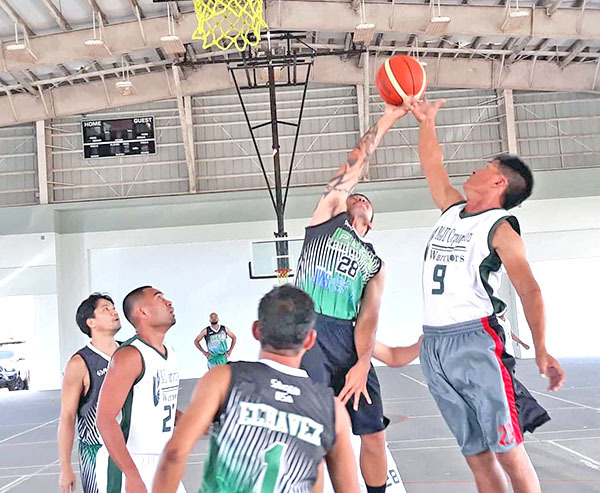 Brennan and Melvin Villarin also contributed in the decisive run, as the former finished a contested layup and hit the bonus free throw, while the latter flipped in a fastbreak layup plus a buzzer-beating 3-pointer to seal the deal. It was a sorry loss for MJD, which was ahead at the break, 32-27. Then at resumption of the match, PEGS rode on Brennan’s shoulders to steal the win. Brennan finished with a game-high 25 points, and his efforts were rewarded with a Finals MVP plaque. Ashburn backed up Brennan after adding 16 markers, while Villarin and Gino Libuw recorded 8 and 6 points, respectively. Jack Aranda had 15 for MJD, while Jorge De Guzman chipped in 14. Meanwhile, Islander took the third place trophy after a narrow victory against top-ranked PIC, 85-82. James Abuy had an opportunity to tie the game, as he was left wide open for a trey, but his shot hit the back iron as time expired. 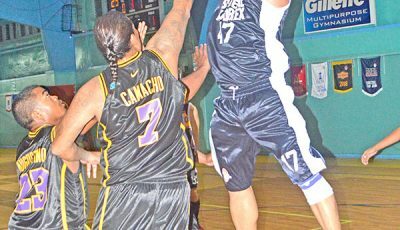 Jet Jandoc led Islander with his 33 points, while Ed Pangelinan and Rocyl Ritual contributed 17 and 16 points, respectively. 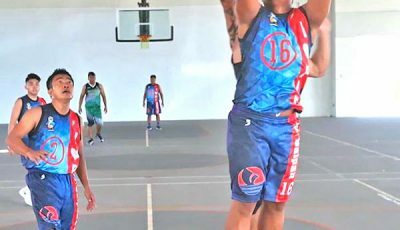 Abuy top-scored for PIC with his 41 points, while Raymond Tolentino, Jerome Norita, and Butch Sublemente added 15, 13, and 10 markers, respectively. 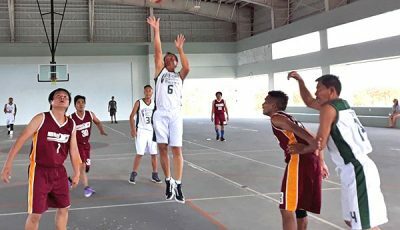 MJD 55—Aranda 15, De Guzman 14, Bisana 6, Lisua 6, Tabora 6, Ocampo 4. Scoring by quarters: 15-17, 27-32, 44-44, 65-55. 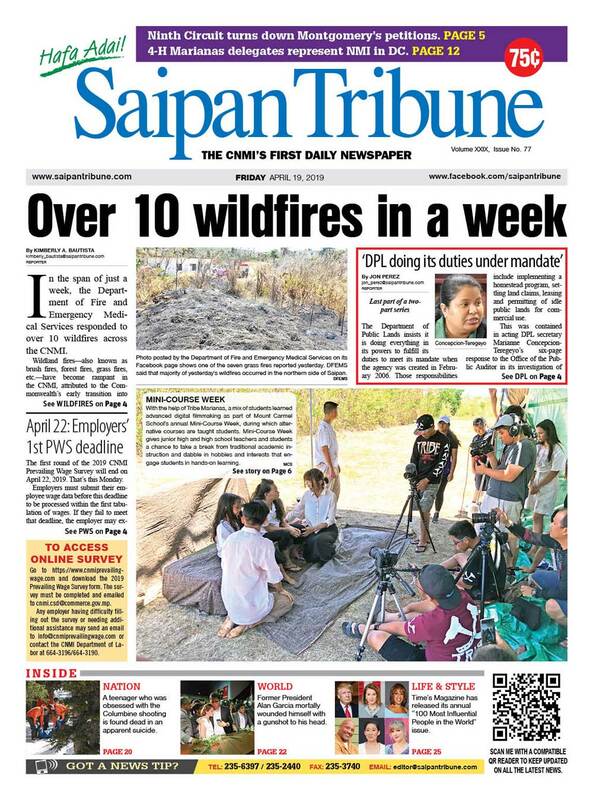 Islander 85—Jandoc 33, Pangelinan 17, Ritual 16, Mangali 12, Manabat 2, Paraiso 2, Tabora 2. 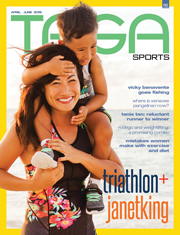 PIC 82—Abuy 41, Tolentino 15, Norita 13, Sublemente 10, Fernandez 6. Scoring by quarters: 18-17, 37-50, 58-61, 85-82.